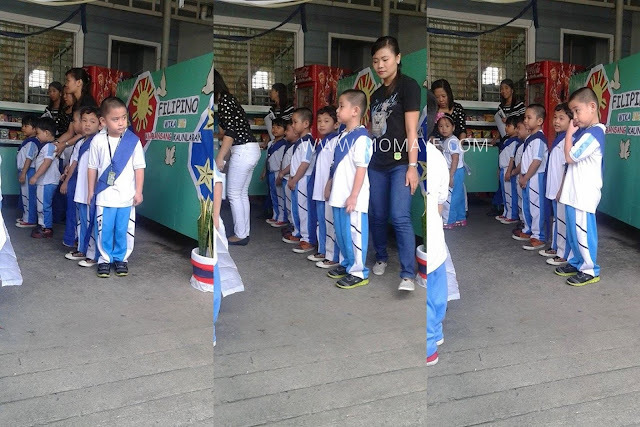 Last Friday, Matthew's school had their Buwan ng Wika Celebration. Before anything else, here's our cutie patootie. Matthew's school Buwan ng Wika celebration was just a simple one. Each grade levels, including kinder and prep, had their own presentation. The opening prayer song was assigned to the kinder and prep. Since the school has just few activities where Matthew has a presentation, Daddy and I agreed to watch him. I have read that their program will be from 8:00 to 9:30 am. I told Daddy we can report to work a little late. However, the program started a little over than 8 and we are really late, haha. It's okay, this kind of event is just once. So when it's the opening prayer already, the kinder and prep lined up. 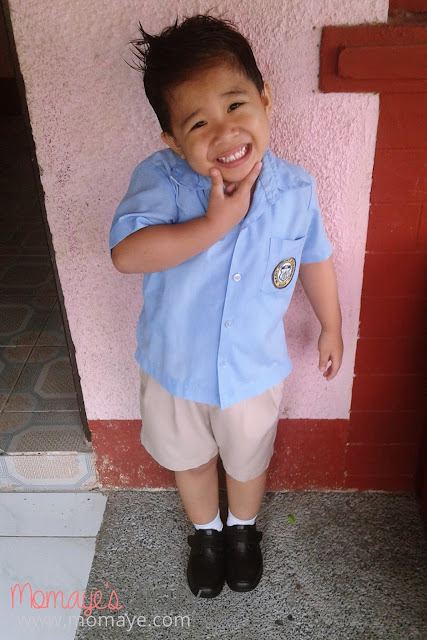 Matthew was really playful that he kept on bumping side by side with his two classmates. Such a silly boy. Anyway, the prayer presentation was just short. After that, we went to work. While we were on our way, I was reviewing the photos and videos. Daddy was listening to the radio so I can't hear the music well. In times like this, I wish I have an open back headphones so I can hear it clearly. For parents like me, events like this shouldn't be missed because this will happen only once. Also, any support we give to our kids helps them build their self confidence and trust on us. Remember our kids will only young once. Two weeks ago, I started to get very busy at work. This is because our admin assistant gave birth and I decided not to hire a substitute because her maternity leave is just one month. With this, I took the responsibility of doing reports, following results, among others. It was my decision so I have no one to blame for my busy-ness but my self. Now let me do an August recap because in 2 days we will say hello to September. August has been a very busy month for me. Aside from the reason above, August is the examination month. 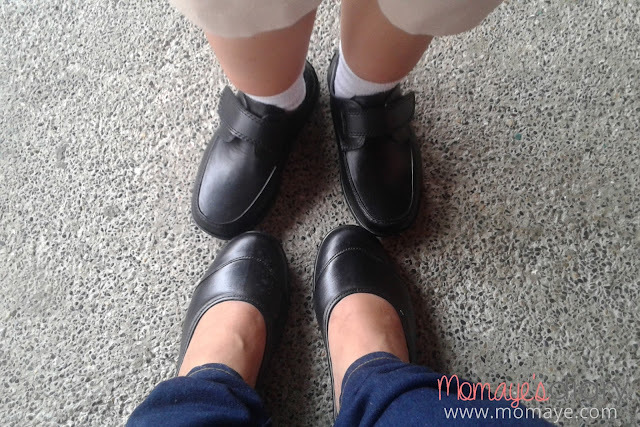 As you all know, I am a Nanay teacher to our little boy. I see to it that I am the one who reviews with him his lessons, especially on examination weeks. I admit it was difficult because as I working mom I often go home so stressed. And sometimes, because Matthew is such a hyper boy, I easily lost my temper. Nevertheless, we make it through this month and I am proud to reap the fruits of my labor. 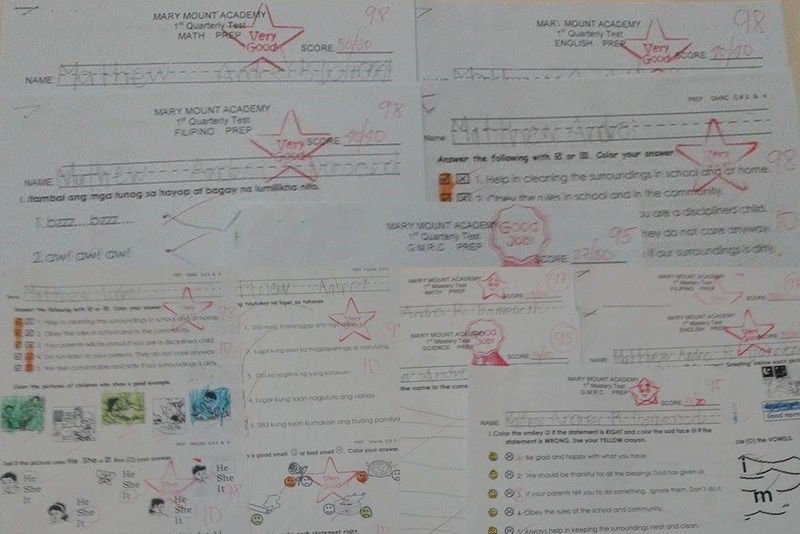 He got high and perfect scores on his quizzes, first quarter long quizzes and exams. Because of these, he deserves a reward. Actually, I stopped from expecting too much from him. That's because until now, our little boy his very hyper in school. But that doesn't mean I don't believe his capability because for me he's very smart. He can read both in English and Filipino now. Also, he can understand English and can speak too. I'm sorry, I'm just a proud mom here. 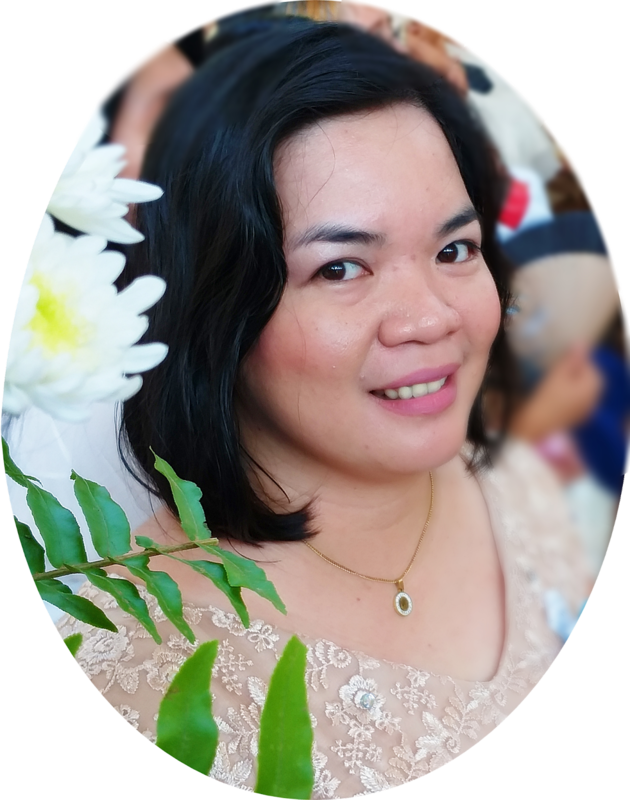 Aside of being a Nanay teacher, I'm a mompreneur too. 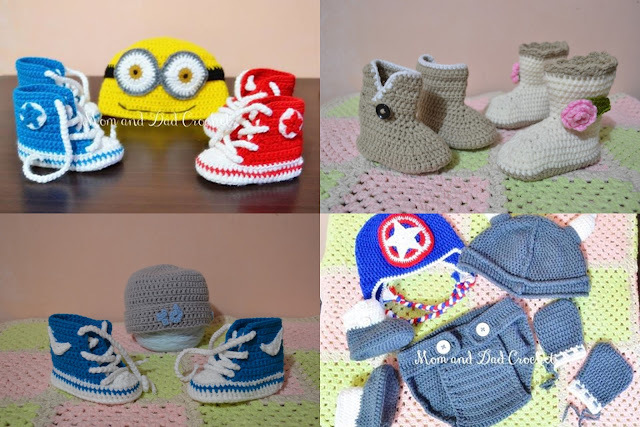 I am also busy managing our small online shop and we also accepts made to order crochet baby accessories too. Though I promise not to accept too much, this month we have finished 4 batches of MTOs. The two boots are bound to Italy! 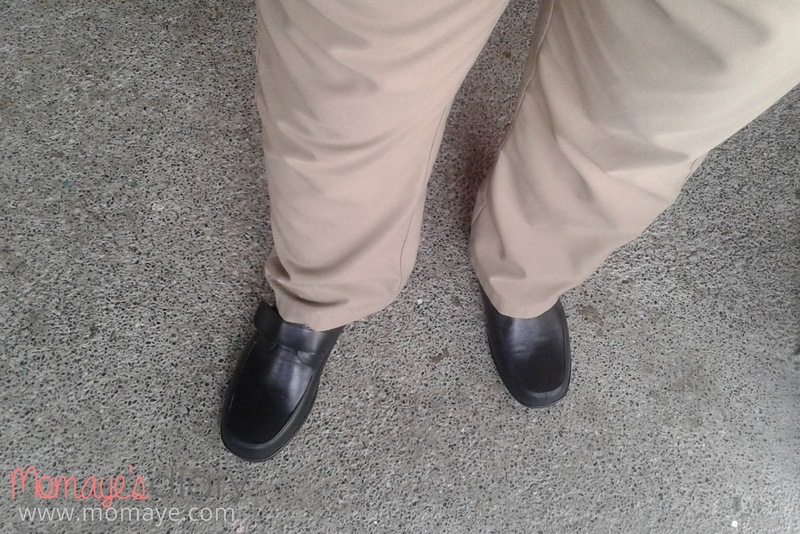 Buti pa ang boots, haha! 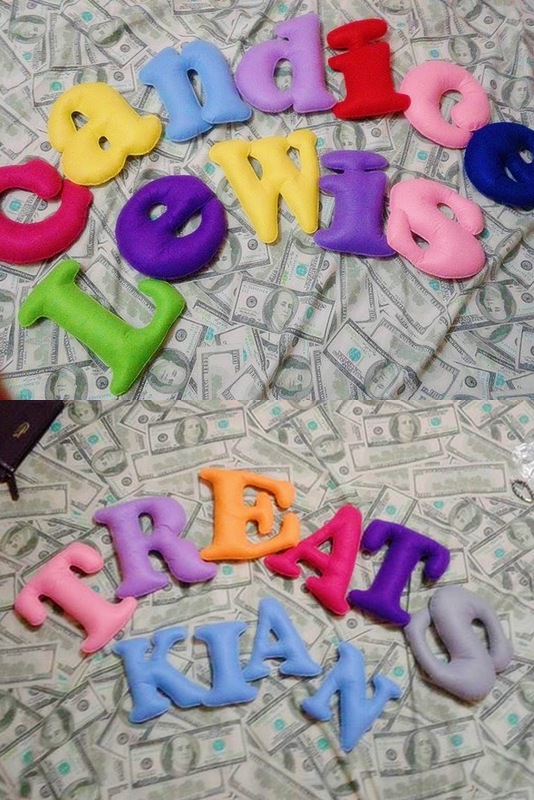 We are also making felt cloth letters. These isn't possible without the help of Daddy Allan. Also, this month we decided to split the contents of Our Family Blogs About blog, which will now concentrate on home and improvement, and DIYs. So now we have two new sites: Mom and Dad Crochet where our crochet projects will be posted. and Daddy's old blog Captured Moments by Chemist Dad where his photo arts, naks naman, will be posted. Yes, I know it will be very tasky and time consuming to maintain many blogs. It's also expensive though the two have no domains yet. But I think it's doable naman. We also have plans of moving to WP and having our own hosting site. Crossing our fingers we can make this possible next year. That day, my mother-in-law came with a new replacement. I was hesitant to hire a non-relative person but Daddy A tell me to give it a try. Her Tita who is my MIL's friend assure us that we can trust her. So I trust their words and she's with us for 3 weeks now. She's a not a total package of a good house help but I can forgive her lapses as long as she's taking good care of my mother and son. For me that's the most important. So there, I keep my faith that our new house help will not leave us too soon. Daddy A and I already adjusted for her and I hope she appreciates our effort in showing her nothing but our kindness, hehe. 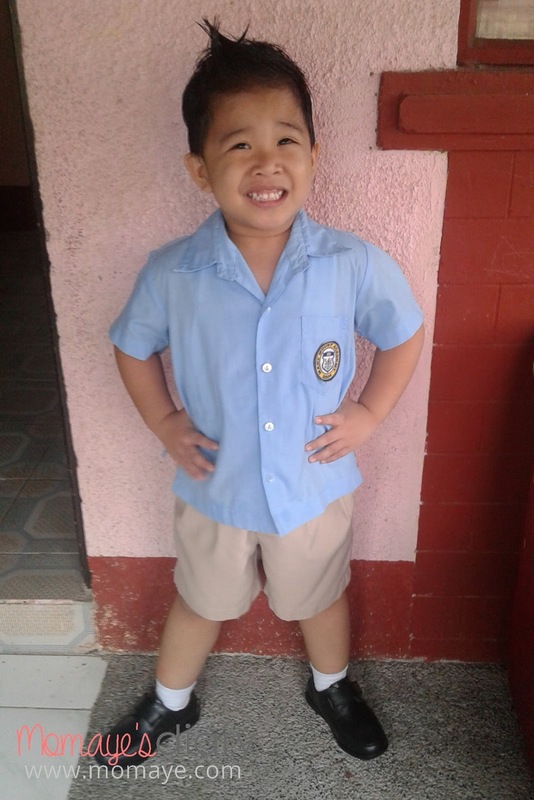 Anyway, the other day, I asked Daddy to go to Matthew's school and asked what will be their costume for the Buwan ng Wika celebration. The teachers congratulated him and he doesn't know why until they told him that Matthew's on the top 5. 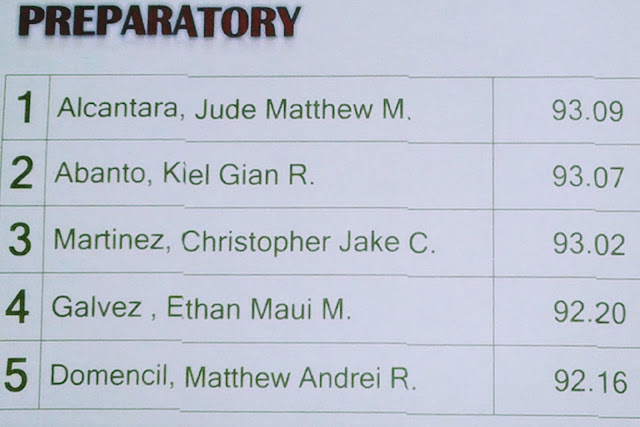 I was surprised as I really don't expect this, but at the back of my mind, he got high scores in all his quizzes and exams so I must expect something kahit paano. Haha! Behave pa more daw ang bulilit and it's not impossible to get a higher rand in the next grading period. Oopps.. I should not expect but I will do my best to teach Matthew and I will be more patient. That's our busy August recap! See you all next month! Have a blessed long weekend! Yesterday, we went to a wake of our colleague's husband, who died due to cardiac arrest. He stayed in ICU of Philippine Heart Center for 3 weeks after his almost successful heart surgery operation. It was always a sad news when someone passed away. 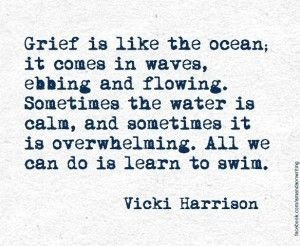 I know how painful it is and no words is enough to comfort someone who have lost a loved one. In this case, our colleague lost her better half, best friend and confidant. The man whom she spent almost all her life. I expected her to be very sad but I was surprised and relieved to see that her sweet smile is still there. While she's narrating how her beloved husband fought for two weeks, I can't help but admire how she accepts everything as God's will. She's the same happy, brave and strong woman I know. She said her husband is ready and so she is. But I know it's still painful, very painful. So I pray that God will give her more strength to face life without her beloved husband. Death is something most of us fear. 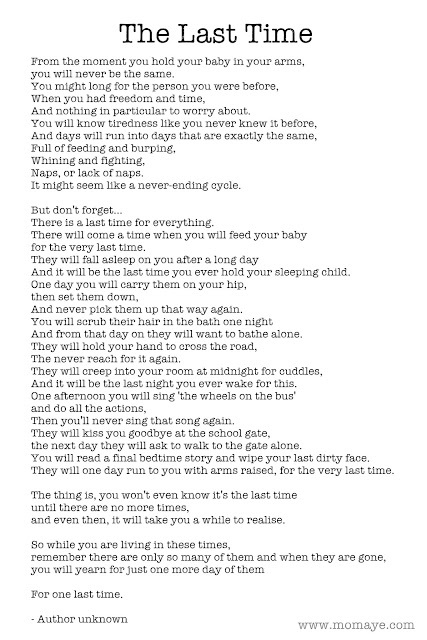 The fear of leaving the people we love and the fear of losing people we love. Acceptance and readiness is very important. Most importantly, we should live our life to fullest, waste no time in anger and grudges, but live in God's words. Everything will follow. So sorry for a sad intro, I was carried away. But what I will share now is very related to death. Have you heard about PerfectMemorials.com? PerfectMemorials.com is a trusted leading online retail site that has the largest selection of premium quality memorial products. 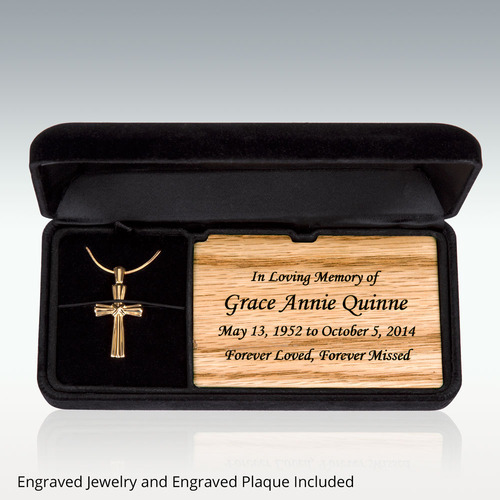 In addition to their unique memorial products, Perfect Memorials introduced a Premium Jewelry Series. The Premium Jewelry Series is a exclusive line of jewelry made to last and keep for generations. This Premium Jewelry is not just jewelry. As it is designed to hold a small portion of ashes. You can also put inside anything that reminds you of your loved one. 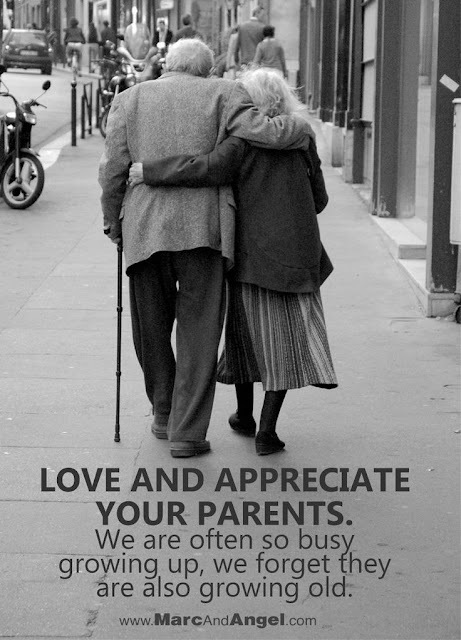 If only I can find a photo of my mother and my beloved father, I would buy one for her. The addition of this series of quality cremation jewelry proved that Perfect Memorials is a leader when it comes to innovating and developing unique memorial products. 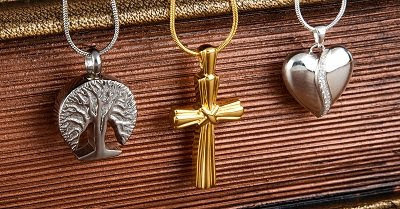 Good news is Perfect Memorial Premium Jewelry Series is on sale at 5% off and, wait shipping is FREE! Just use this coupon code: PREMIUM15 at check out to avail this promo. Note that this coupon can only be used on the Premium Jewelry series found here, and will expire on 09/15/2015. Rainy Monday! How's your day so far? Mine is just okay and I have reported to work already. I was busy all day updating reports. My eyes are recovering and hopefully tomorrow, my eyes will be back to normal. 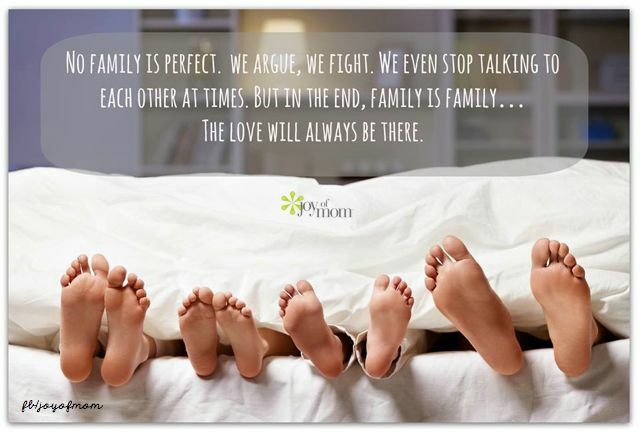 Now, let me share a very inspiring quotes about family. This is very true. Even how many times we argue with each other, we will remain as a family. The bond between each member is strong enough to keep us together during storm. Today, I didn't went to work because, unfortunately, I caught this sore eyes virus. My right eye was swollen and all red. So I decided not to report to work and rest. Daddy went to work for sampling then returned home early. I really wanted to take a rest and just sleep the whole day, but being me who values time so much, I ended up cleaning the room with my little helper. Then, Daddy asked us if we want to watch Jurassic World. Our little boy said yes right then and there. I actually don't like watching movies like this so I said I will just sleep. But the little keep bugging me to look at what they are watching. At first, Matthew was very excited to see the movie but when the giant dinosaur started to attack humans, he also started to scream and sometimes running away from the screen. I also screamed because like what I have said this kind of movie can really scare me. But I must say the movie is okay though. Watching the movie, I saw that there are some personnel that are bitten by the giant reptile. Though others survived, some parts of their body has been ripped permanently. If this happens in reality, how do these personnel compensated? Are they being paid and how much does it cost for each body part that lost? 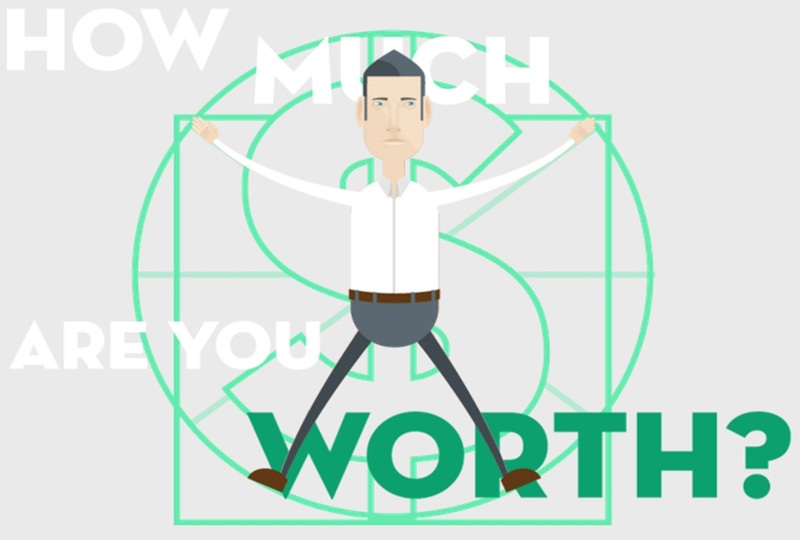 To give idea on how much does each part of the body cost, Harrington Law has this body value infographic showing how much a victim will get. This infographic is very helpful. But I am praying God will not permit losing body part to anyone. Oh, I nee to rest my eyes now so I can report to work tomorrow. I already have so much to catch up, haha. May we start the new work week right. Have a Blessed one! Have you watched the Nestle Chuckie's latest TVC? "Minsan lang sila bata, sabayan mo na." is what this Chuckie's latest TV commercial is all about. If you are a parent, especially a mother, this TVC can easily touch your heart. I just love how they use the music of Billy Joel's classic "She's Always A Woman" by Billy Joel. As the Chuckie's TVC touch my heart, I remember those days when I didn't pay enough attention to my son. When he's asking or showing me something... 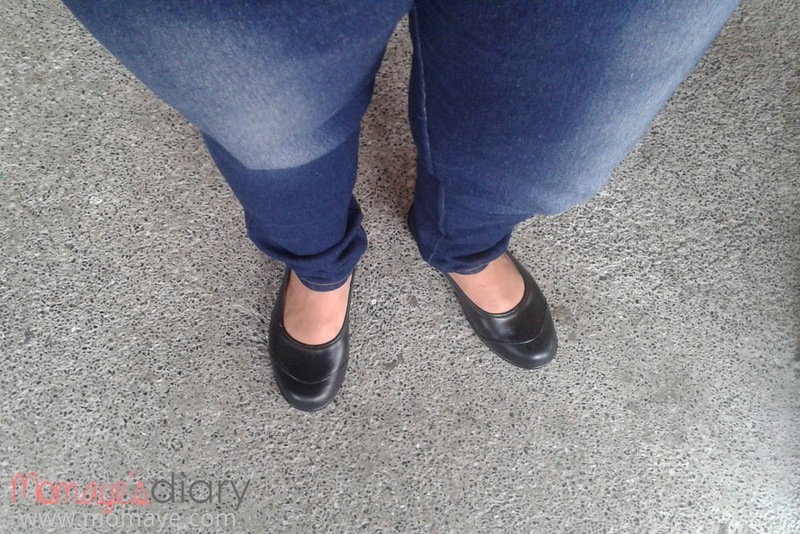 He sometimes needs to say "Tumingin ka naman po Mommy." or "Sumagot ka naman po Mommy." 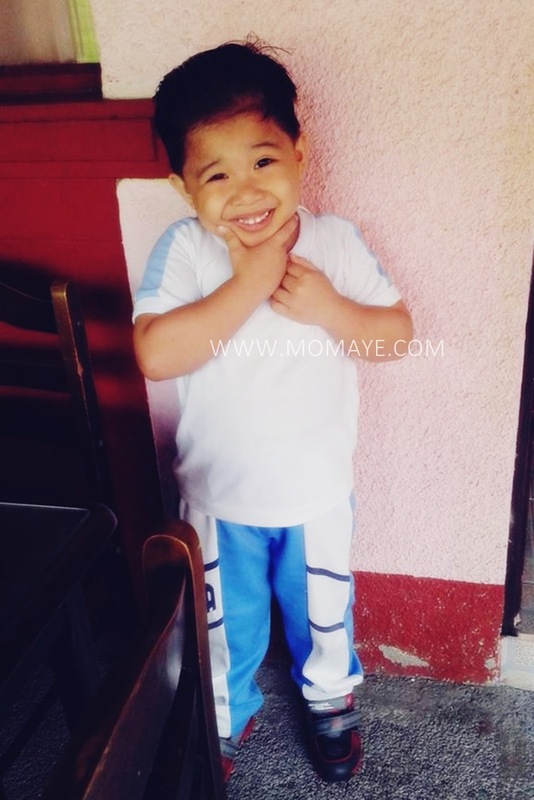 And those times that he needs to say "Excuse me po Mommy." I feel the mommy guilt again. 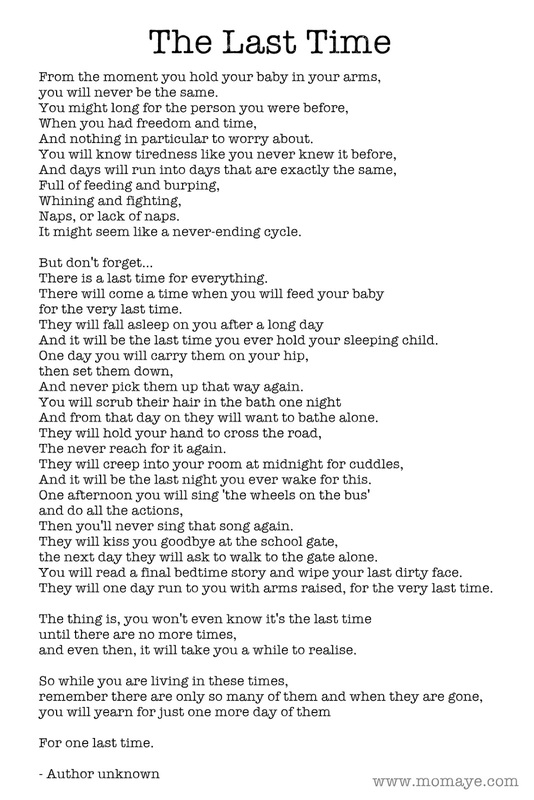 Today, let me share this very touching poem that is a great reminder to us parents. I often get mad when my son cries like a baby. I often get disappointed whenever I learned that he does not behave well again in school. 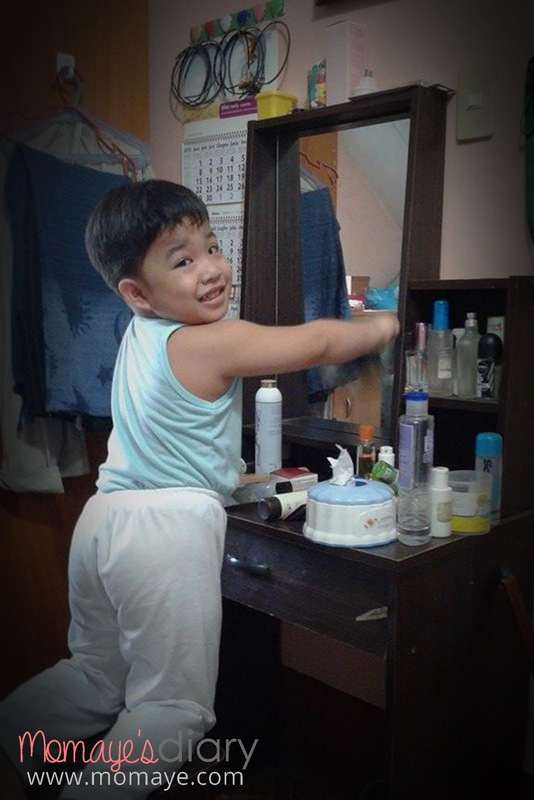 I don't want him to be dirty and messy, I always want him to be neat and organized. Finally, we were able to buy our little boy his Easy Soft shoes by World Balance. 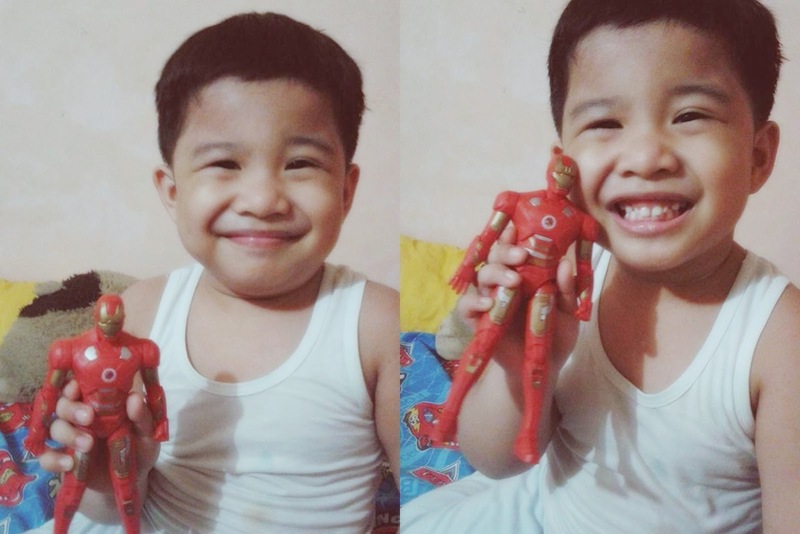 For only 349.75 pesos, we made our little boy so happy. No more wet socks during rainy days. Guess what? 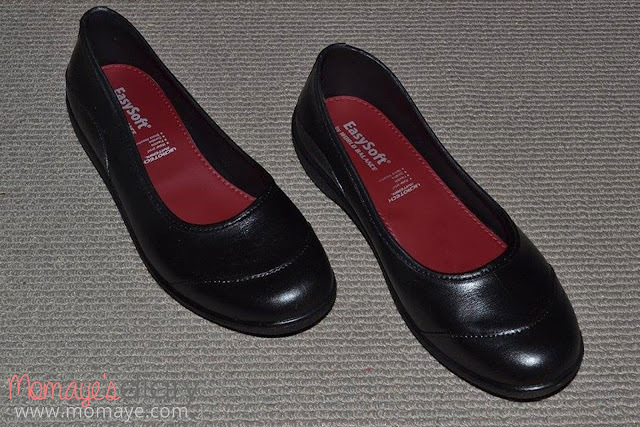 Daddy and I bought another pair of Easy Soft shoes. 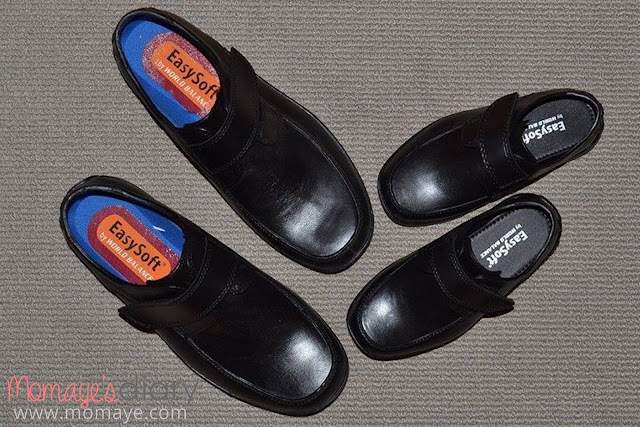 You can see our first pairs of Easy Soft shoes here. 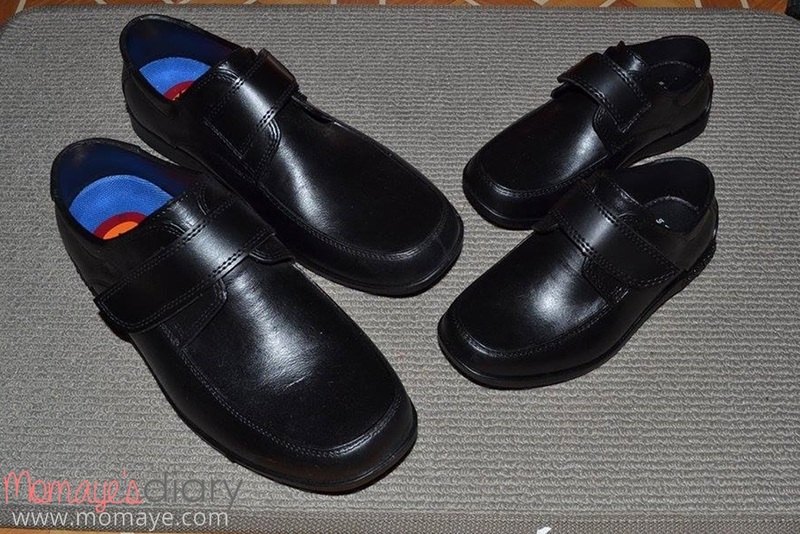 Daddy the got the adult size of Matthew's Easy Soft Orion black shoes. While I got this one. I can't find the model name for this though. Matthew can't get enough of his shoes. He kept on asking me to take photos of our Easy Soft shoes. 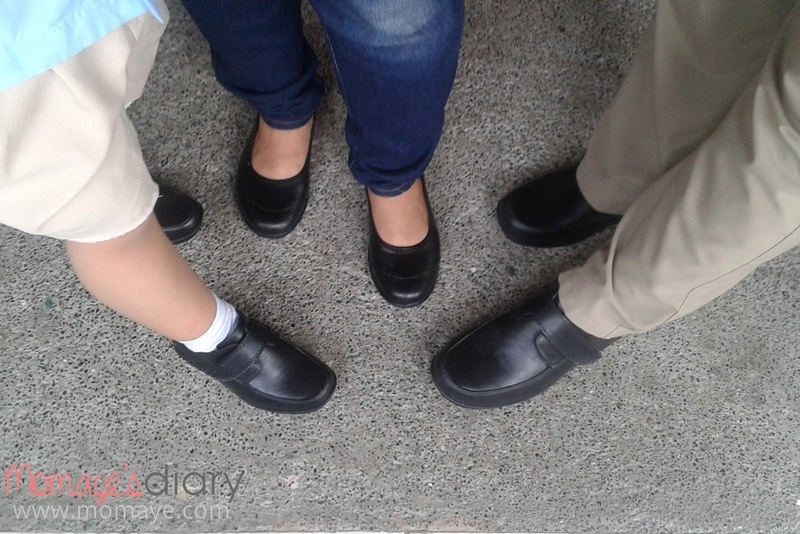 And finally, our family Easy Soft shoes. Nothing is more precious than your family, your home, your business and your peace of mind. And having a security system provides that peace of mind. Night Owl's brand new High-Definition video security and surveillance system gives you clearer HD images and video that greatly enhance the recognition of intricate details such as license plate numbers and distinct facial features. Night Owl also fits in with your mobile lifestyle allowing you to remotely monitor your home or business with its exclusive and free Night Owl HD app for IOS and Android devices. Night Owl can AHD can also be integrated with existing systems to provide an upgrade that is cost effective and delivers image quality beyond out-dated analog system. How about a back to school giveaway from NightOwl? 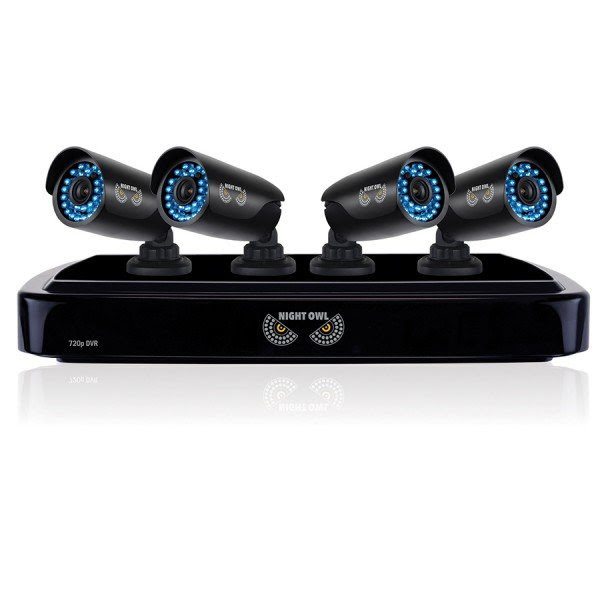 ENTER HERE to win a Night Owl AHD7-441 4 Channel Smart HD Video Security System with 1 TB HDD and 4 x 720p HD Cameras! Contest ends on 08/21/2015! Join now. Good luck! You may have already read here about the condition of my mother. She has a Parkinson's disease and almost losing his memory now because of her medications. At first, I can not accept her condition. I can't believe why this is happening to her. But I know God has better plans and I must accept it. My mother needs love and understanding more than anything now. Even if she may forget who I am, I will make sure she will never forget the love and sacrifices I am willing to do for her. So if you still have your parents, love, understand and appreciate them more now. Do not get tired of them because they never give up on us. My son is now on his second year in school as a Kindergartener. It's a big challenge for him to adapt to his new environment and so do for us. I want him to enjoy his schooling by making his study time fun and preparing him yummy baons. But before anything else, look how cheerful and happy our little boy is. 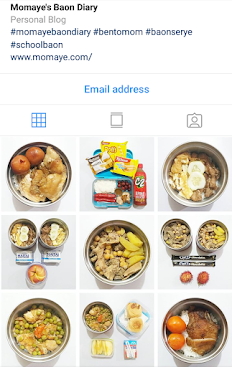 Going back to preparing school baons or snack. My son loves bread, biscuits and cakes like cupcakes and brownie. Sometime, we prepare waffles and his Dad bakes some cookies. I let him bring juice or yogurt milk too. But I am afraid that drinking too much juice can cause him some health problems. Great to know that Ajinomoto is launching “amino Fres-C” Instant Juice Drink Mix.